ROAD-HARD is a new soil stabilizer and dust control agent that transforms all types of soils into hardened, water resistant platforms. ROAD-HARD is a proprietary mixture of organic polymers that are non-toxic, easily applied, and safe to use in soils and around animals. 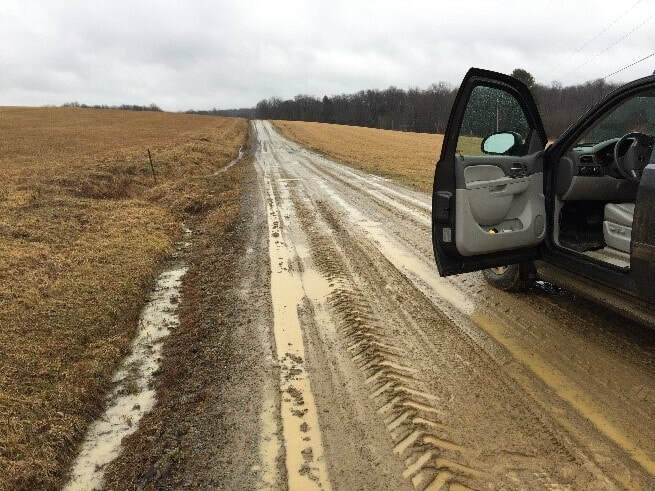 ROAD-HARD delivers a long-lasting, hardened, and water-resistant soil body that vastly improve transportation routes and work areas, keeping them accessible year-round. Road-Hard is easy and safe to use. It minimizes grading and maintenance upkeep on unpaved roads and soil surfaces so your equipment and manpower can be used on other critical infrastructure. ROAD-HARD is shipped as a dry bulk product. For detailed application instructions see our application page. Within hours you have the beginnings of a hard, water-resistant road structure that is functional. Hardening to 200 psi continues for 72 hours, and full cure time continues over the course of 2 -3 weeks. Soil compression strengths reach 500 psi or greater allowing heavy equipment to operate without hindrance. ​(Untreated, compacted soil often ranges between 45 to 75 psi). ROAD-HARD is environmentally safe, easy to use, and will not leech into water sources. Highly Effective—Works on all kinds of soils to both harden and resist water. Roads and work areas remain strong and dust free. Helps eliminate potholes and wash-boarding. Minimal Maintenance—Road-Hard generally requires only periodic surface treatment on the wear layer, depending on traffic volume, speed, and weight. Damaged roads and potholes are easily treated and restored. Affordable—Saves money in product cost and road construction. Environmentally Safe—Road-Hard is safe to use by any standards. Non-toxic, no run-off, and no leaching. Road-Hard biodegrades over time, but it is easily re-applied and strengthened. Easy to use—Road-Hard is applied in its dry state to loose soil, treated with a catalyst, and then wetted with a water-based solution. The treated soil is then tilled, shaped, and compacted. Surface areas are ready to be used as soon as they are dry. Rapid Construction—A supervised, unskilled labor crew can treat 1 mile of two-lane road per day. 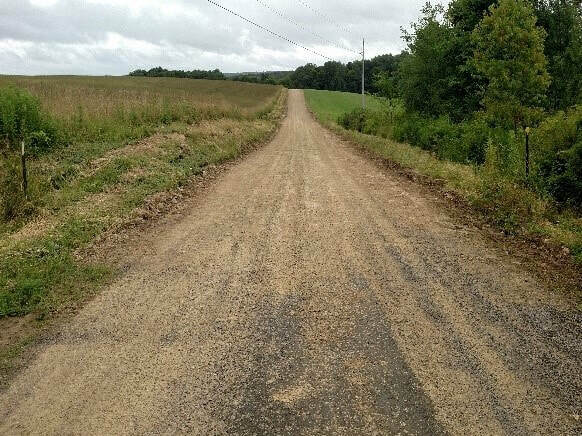 Road-Hard is generally applied on the surface for dust control and at 2", 4" and depths. Pricing is highly competitive. See our price specification sheets for a preliminary estimate.